I had a spare five minutes today, so I transformed this auction find of a vintage sign with a quick adhesive vinyl. 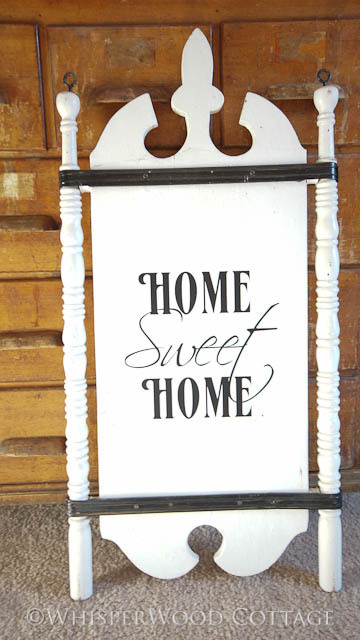 See the before and after at The DIY Club: Amy's "Home Sweet Home" Vintage Sign. Also check out some gift ideas for the DIYer in your life! The DIY Club: Amy's DIY Gifts from Rockler.